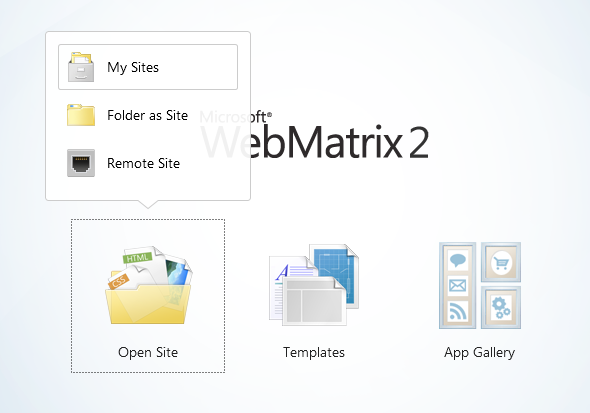 This tutorial walks you through how to import a publish profile in WebMatrix. Click here for importing a publish profile in Visual Web Developer. 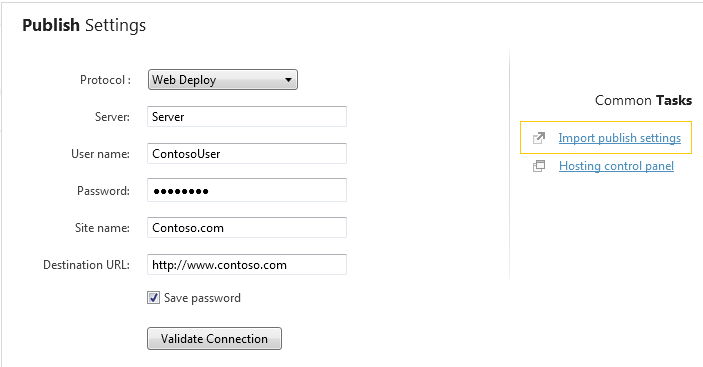 In the Azure portal, navigate to the dashboard of your website. 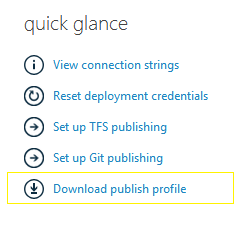 Under the quick glance section, click the Download publish profile link and save the file. In WebMatrix, open the site that you want to publish. If this is the first time you have published a site, you will be prompted to enter remote settings. Click the Import publish settings link on the right-hand side of the dialog and browse to the location where you saved the file. 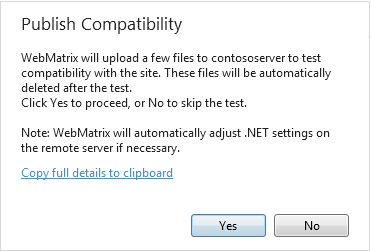 Click Yes to run the compatibility check. You can skip this check, but it is not recommended. 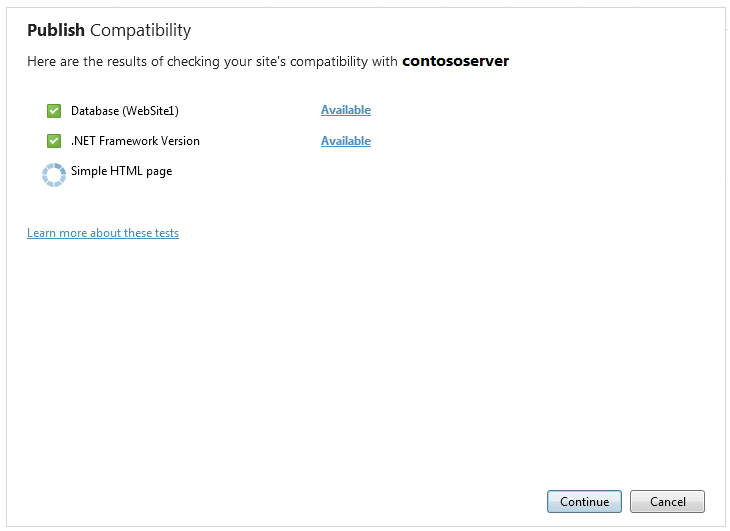 Review the compatibility results. If any of the items have a warning icon and say "Not Available", you can click on the hyperlink to learn more. 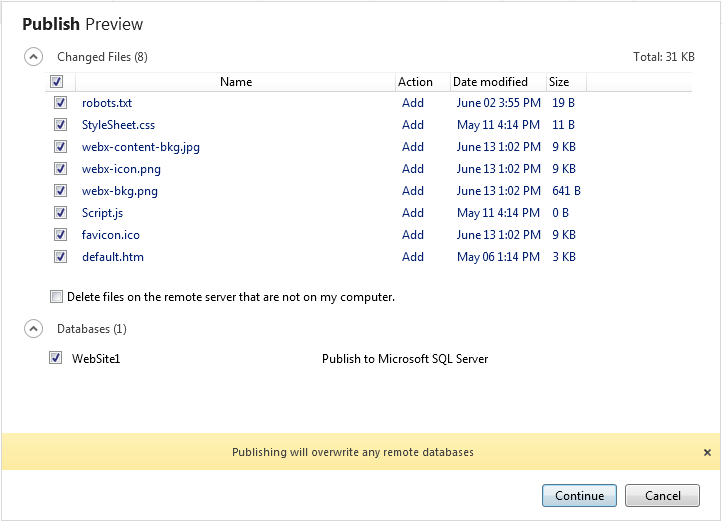 The publish preview shows you what files have changed and are being published. You also have the option to publish the database along with content. Click Continue to begin publishing. Publishing will switch to the notification bar, and when it’s done, you will see a link to browse to the remote site.